Having a historic setting, The Pound is a vibrant bar and cafe situated in a former city gaol and police station. 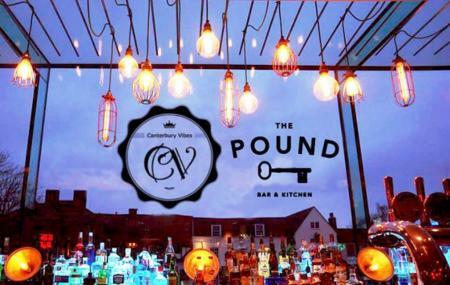 To enjoy Canterbury’s nightlife, head over to this place which serves authentic British food along with a delicious menu of premium cocktails, wine, champagne, beer, ale, gin, vodka and other sprits. How popular is The Pound? People normally club together Kent Museum Of Freemasonry and RSPB Reserve Blean Woods while planning their visit to The Pound. Very interesting place! A bar/cafe in an old prison house. You can actually enjoy a drink in pine of the cells. The common area is lovely too. Brilliant place. Brilliant cocktails. Get ready to spend quite a bit. It's around 8.50 average for a drink. Great venue for both food or drinks. The cell rooms are great for small groups away from the usually rammed-tight bar area and the upstairs dinning area is quiet enough for conversation over food. Parking nearby is very limited (welcome to Canterbury) but a it's only a short walk of a few blocks to permit free street parking for an evening.